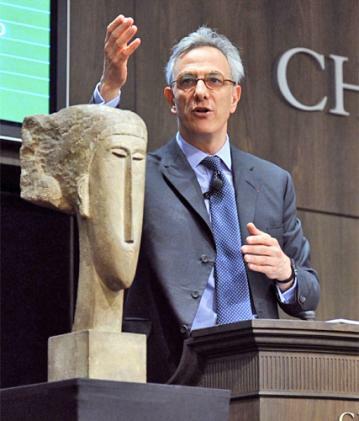 If you own any Amedeo Modigliani sculptures, congratulations. It seems they are the new must-have in the art world. Click here to read about some of the seized objects, specifically griffins, located in the ICE warehouse in Queens. But how many are genuine? The UK has appointed Sir Andrew Burns as the new envoy for post-Holocaust issues. The Fayetteville Museum of Art in North Carolina has closed with more than $500,000 in debt. Police think that the Leonardo thieves may be linked to other art related crimes. The renovations at the Cleveland Museum of Art are set to finish in 3 years, and cost $350 million. Thieves steal wagon wheels from Florissant Fossil Beds National Monument. CPAC is set to hold a public meeting to determine whether the current Memorandum of Understanding with Nicaragua will be extended. Click here to read about what the AAMD accomplished at its annual meeting. Don’t buy art on a cruise unless its so super you don’t mind its a fake. Unhappy cruise ship buyers have sued Park West Gallery and it’s owner of selling forged artworks.